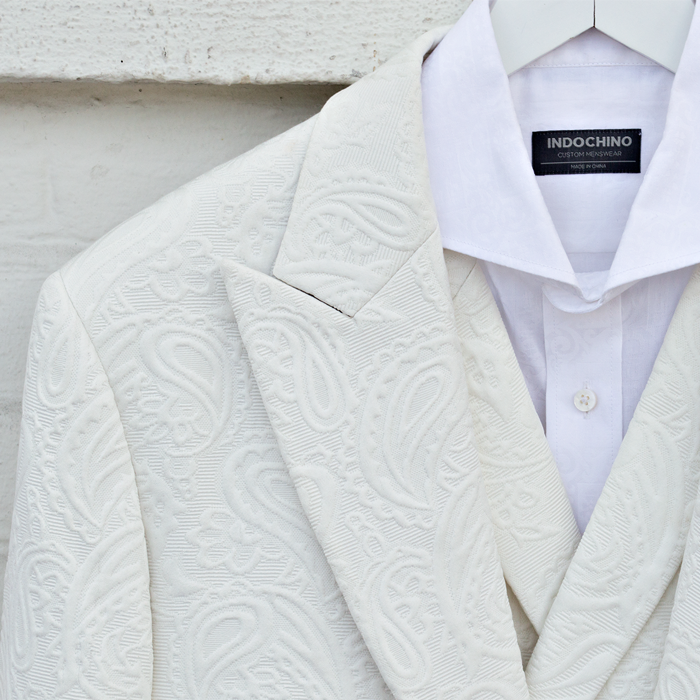 Indochino dropped a surprise collection today, a number of all-white suits and shirts, some of them with paisley patterns (poly blends - I guess you can't get that pattern on wool). Available from $549. It seems they were made specifically for the Dîner en Blanc event in Vancouver. Would you wear it?